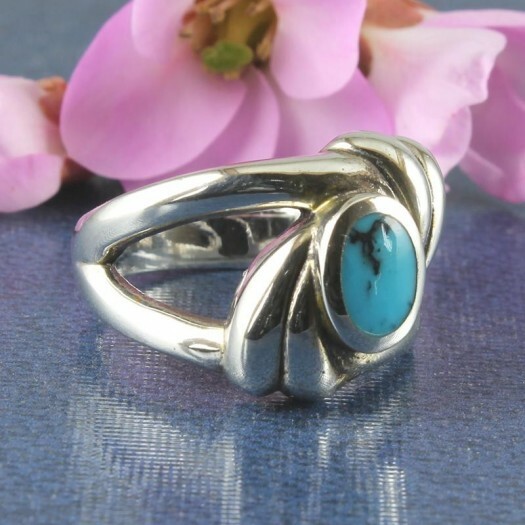 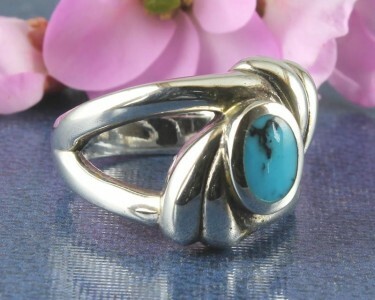 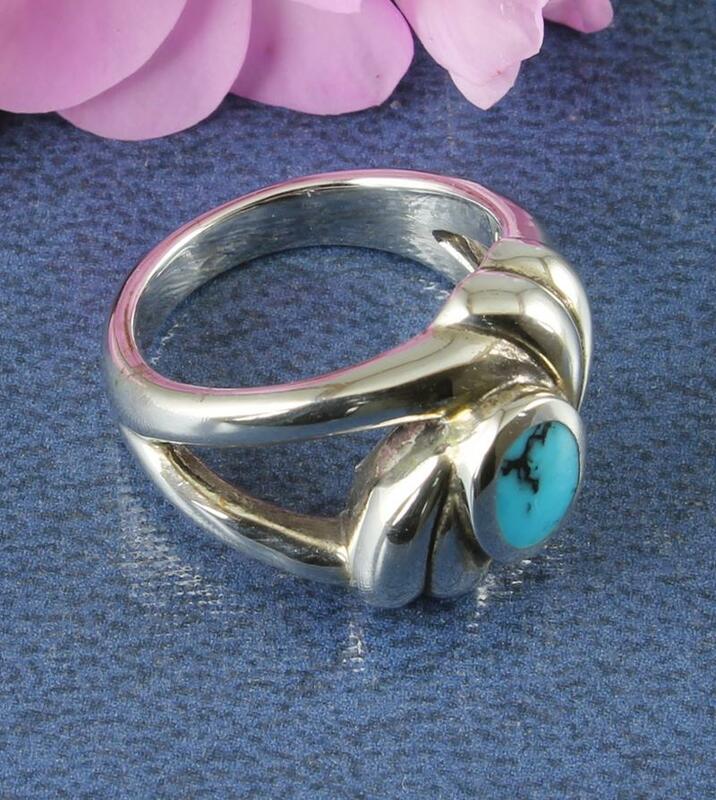 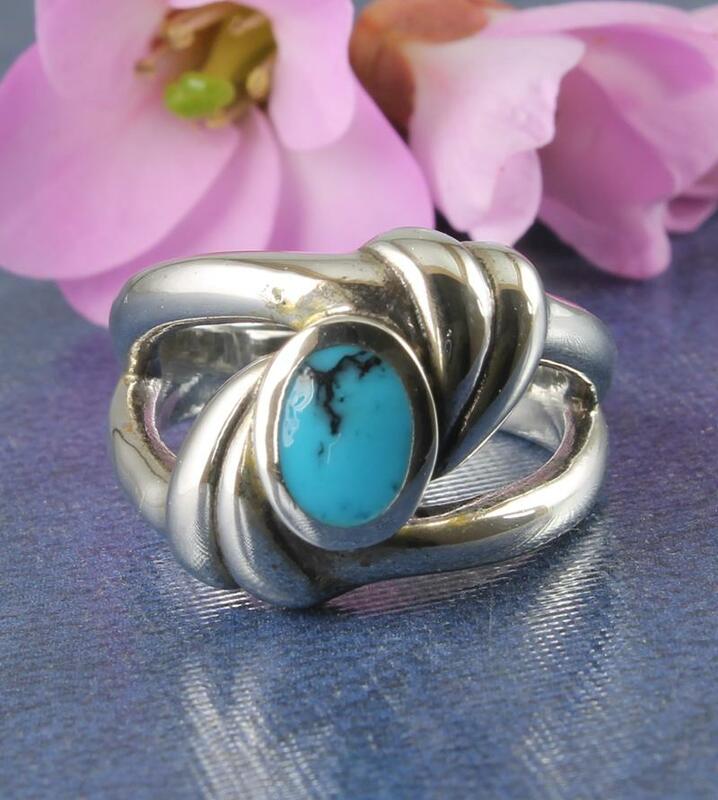 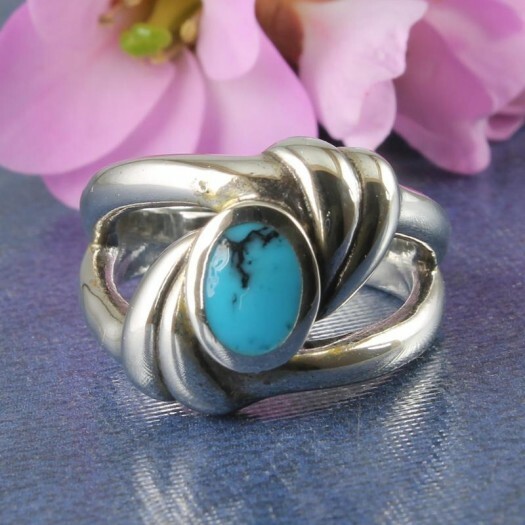 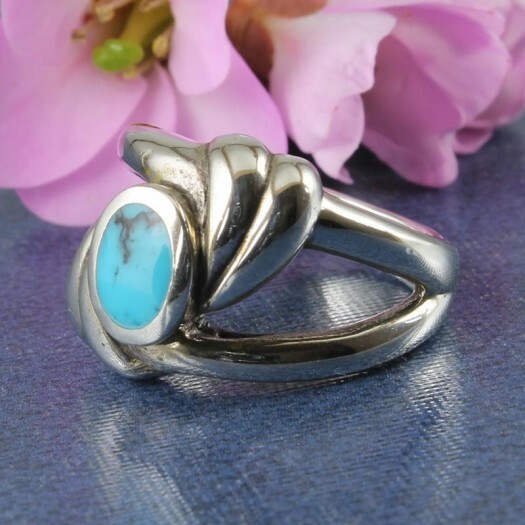 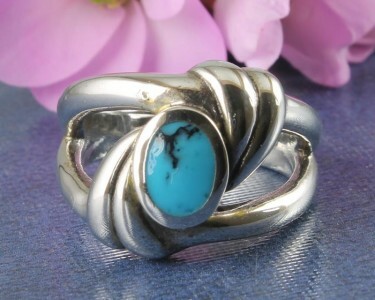 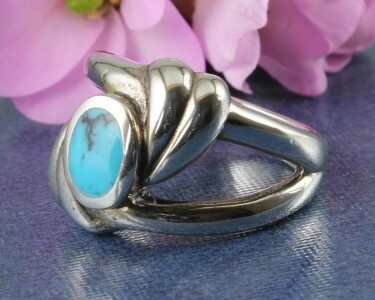 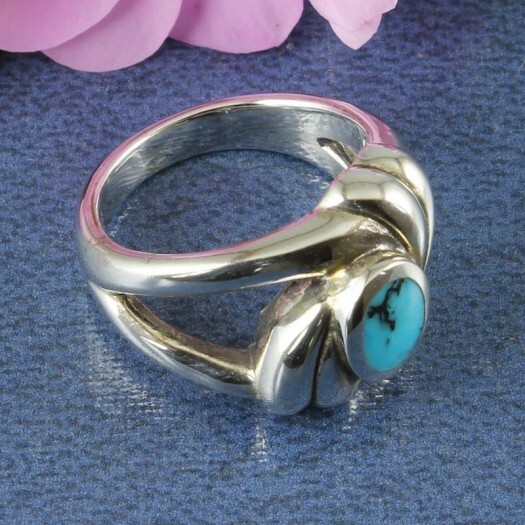 This shining Sterling Silver ring features a small, colourful, polished Turquoise oval, bezel-set on artistically-designed, curved and flowing, Navajo-style, Sterling Silver applique, set on openwork split shoulders and a D-shaped band. 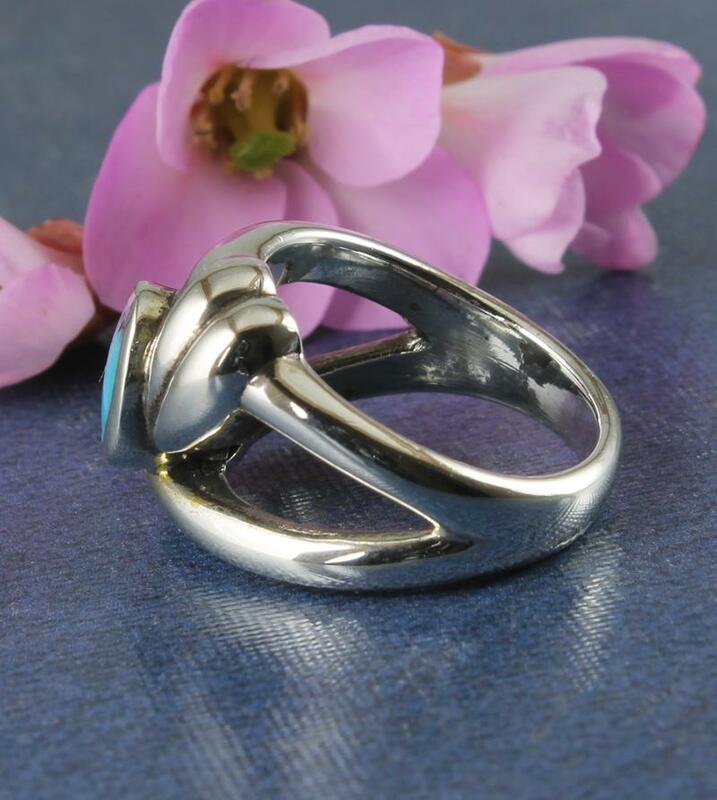 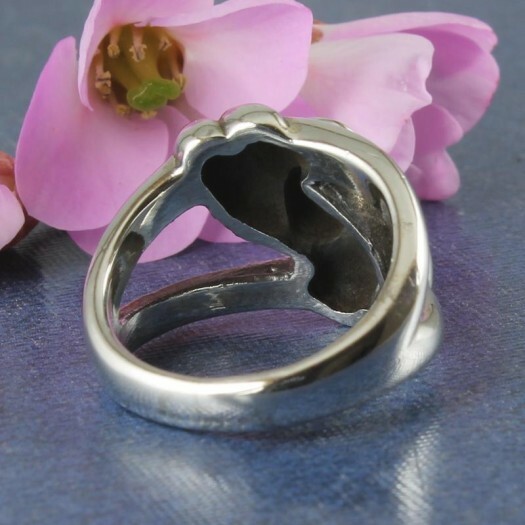 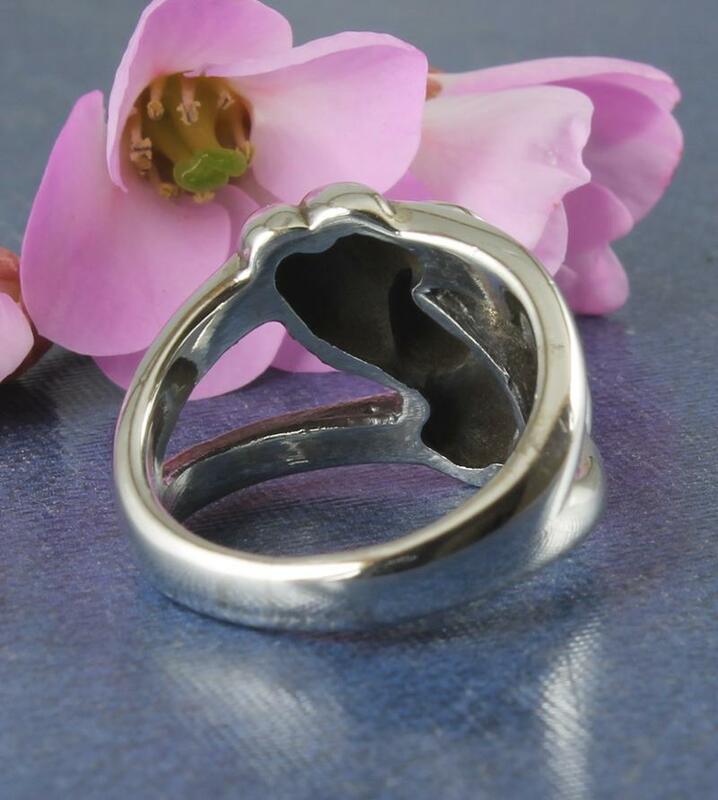 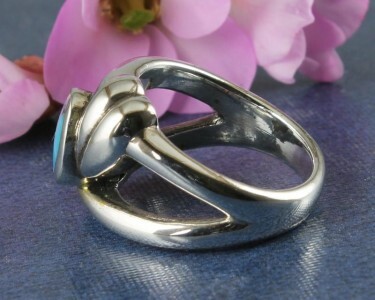 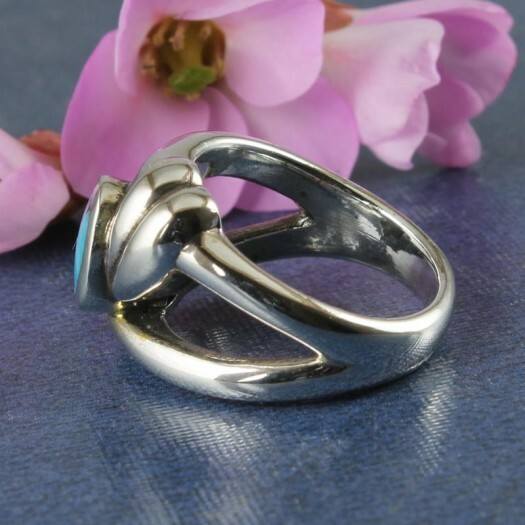 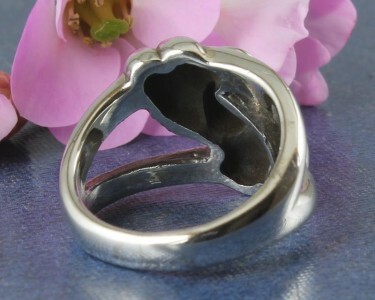 Wear It With : This unusual, delightfully flowing ring has feeling of movement that will attract an admiring audience. 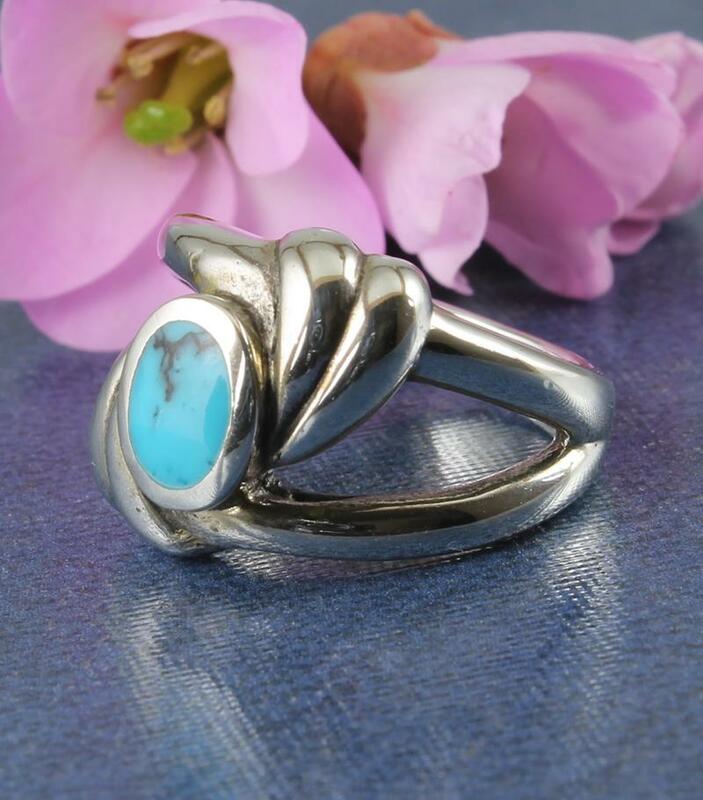 The natural turquoise is handsomely coloured, but is sufficiently restrained to allow this ring to be worn with any of your outfits. 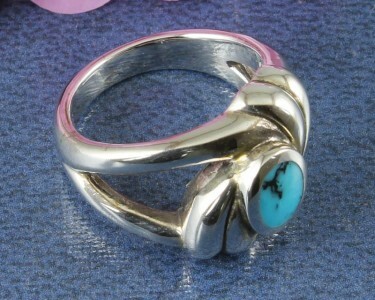 It will look particularly fine with black, white or your blue denims. 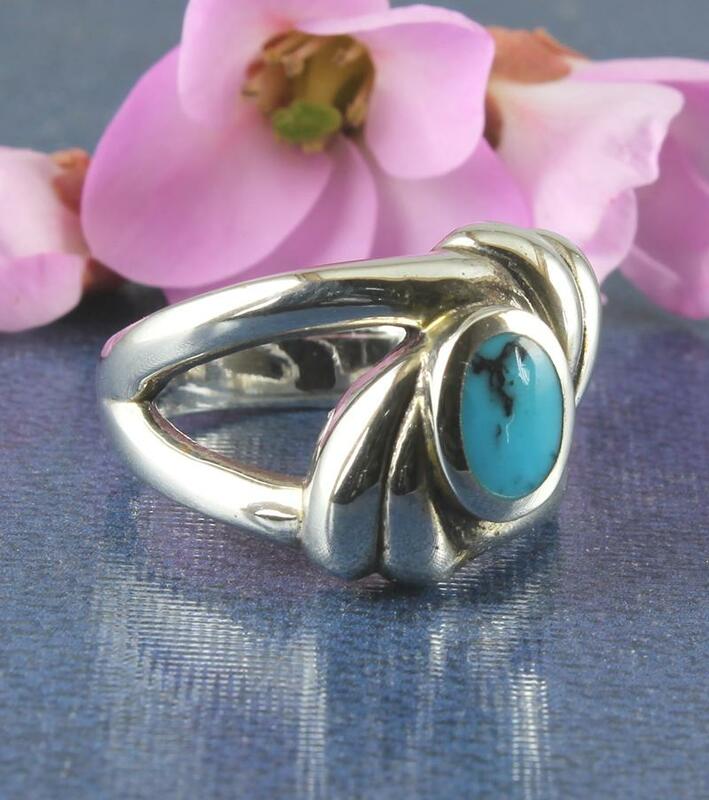 Effectively match your other Turquoise and Sterling Silver jewellery.